On July 31st, 1914 the Swiss government approved the creation of the Swiss Air Force. 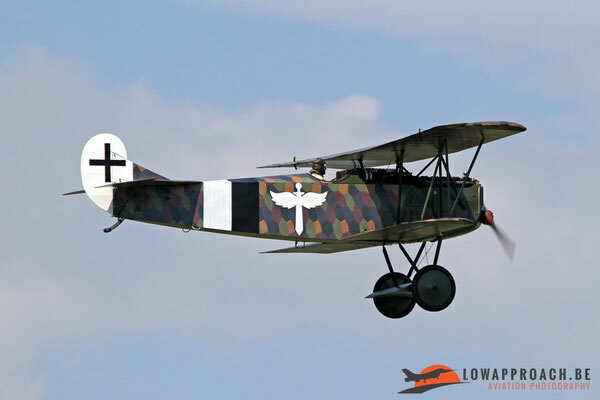 This happened as the start of the First World War was imminent and planning was really last-minute as the War started exactly 4 days later on August 4th, exactly one day after the first pilots arrived with their aircraft and mechanics at the airfield of Bern-Beundenfeld. 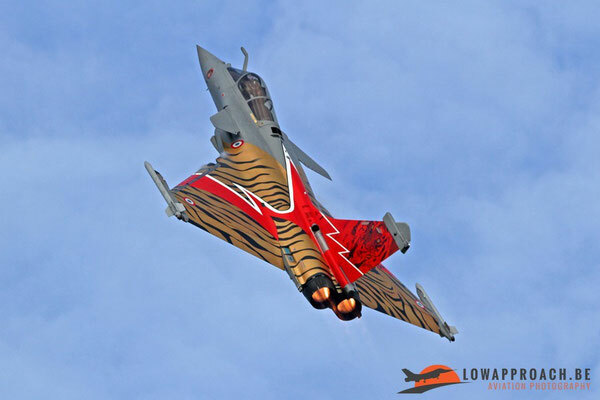 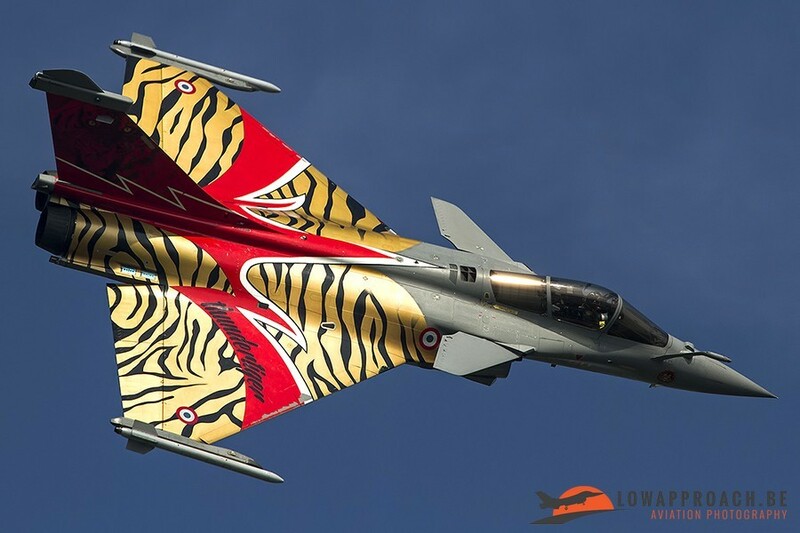 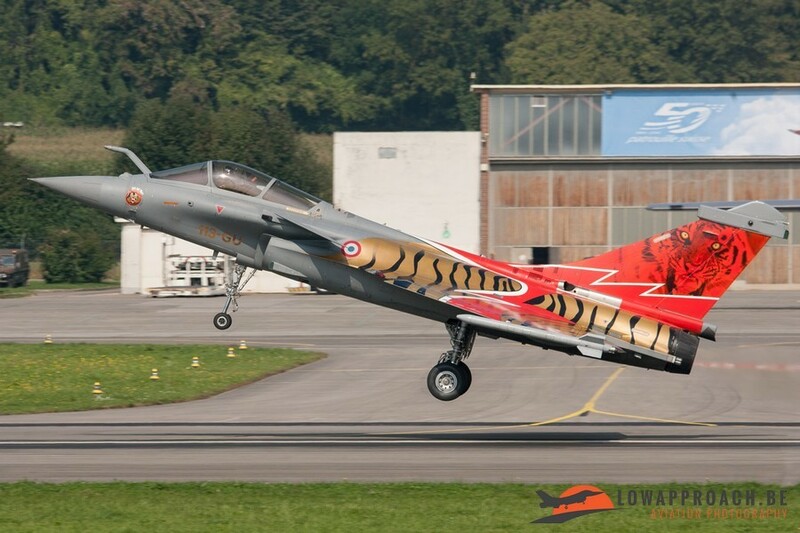 In 2014 it was exactly 100 years after this historic event and this called for a large celebration on the Airbase of Payerne. AIR14 was a mega-event, as it was spread over two consecutive weekends in late August and early September. 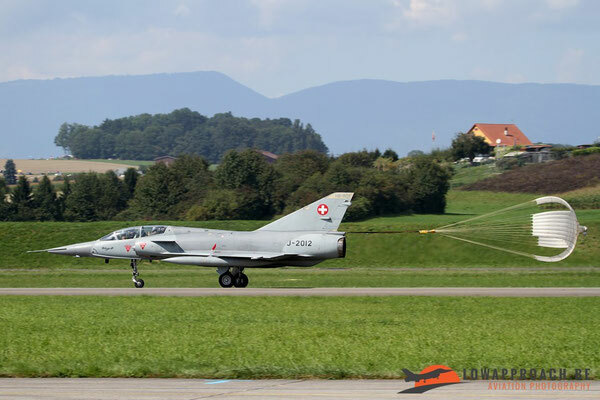 Low Approach Aviation Photography attended the event during the second weekend, and we can really say that it was a good decision to make the trip to Switzerland. 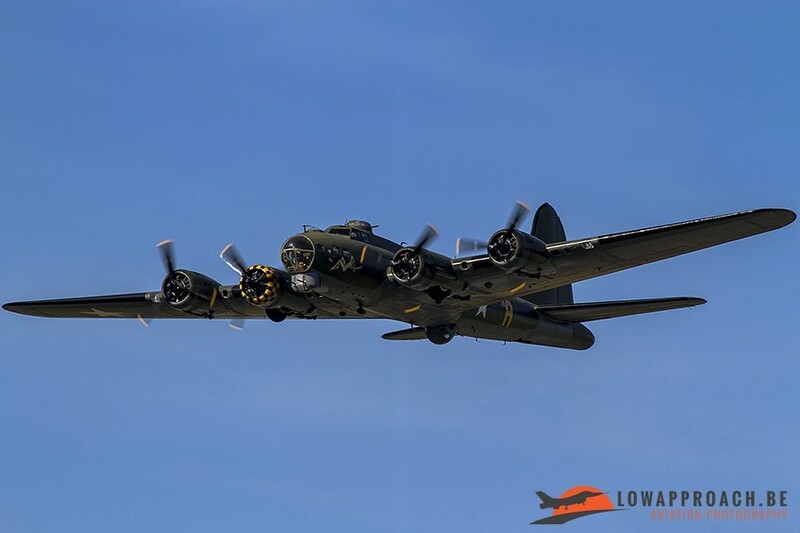 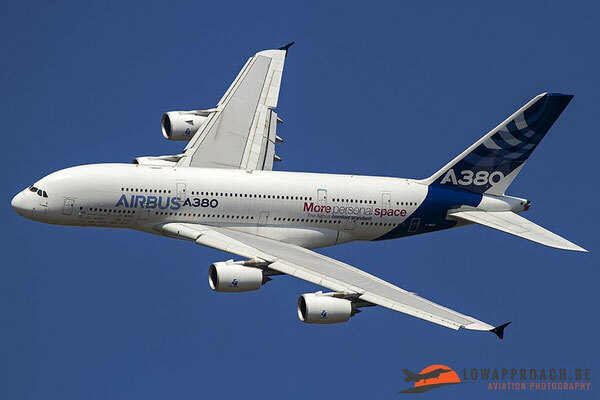 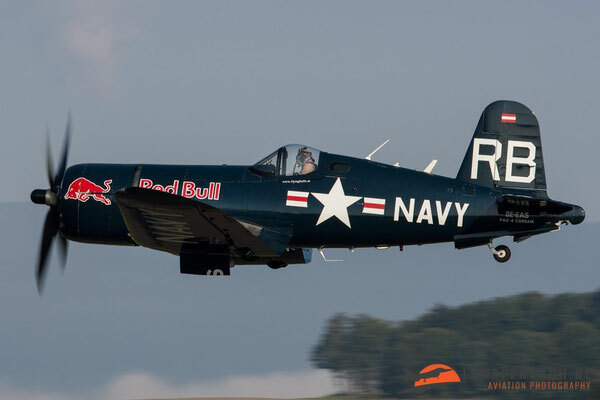 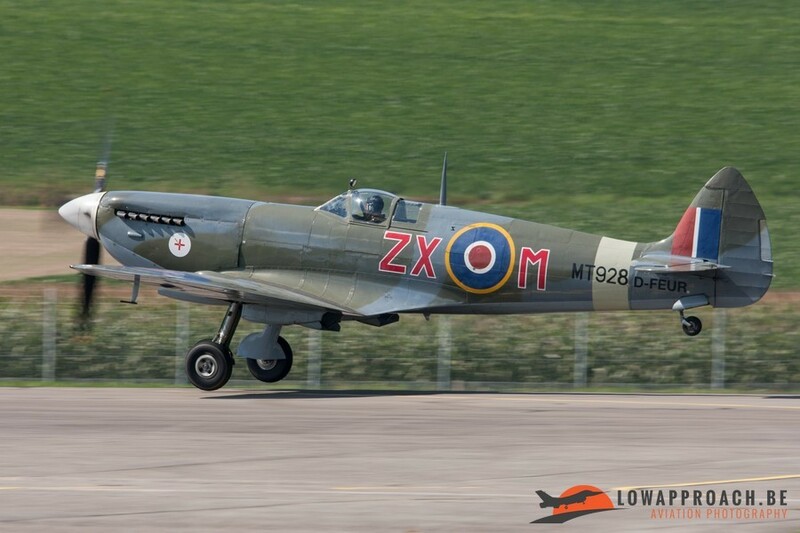 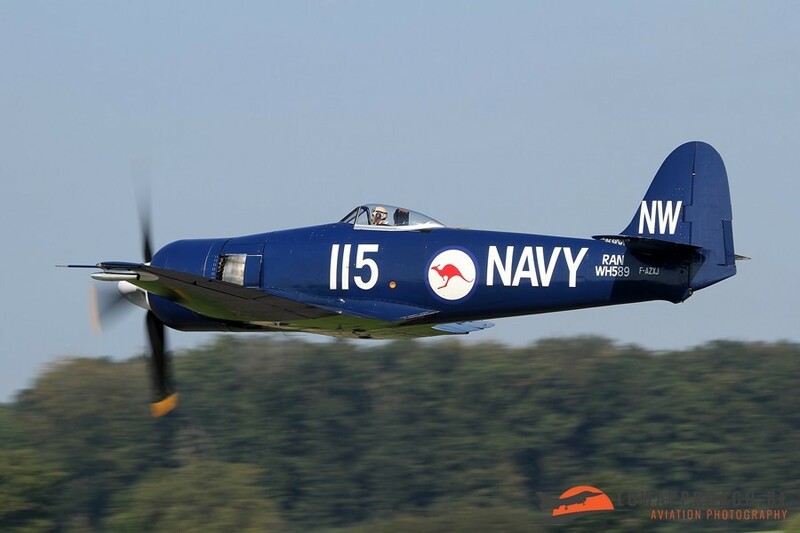 As it was a celebration of an historic event many historic aircraft were present and displayed in front of the massive audience. 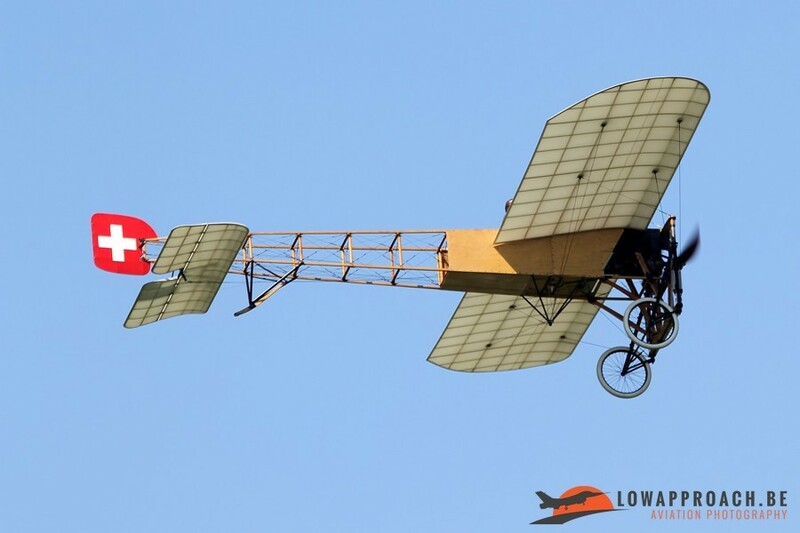 The early days were illustrated with fly-bys of a Blériot XI, flown by the Swedish pilot Mikael Carlson, who also displayed his Fokker D.VII replica. 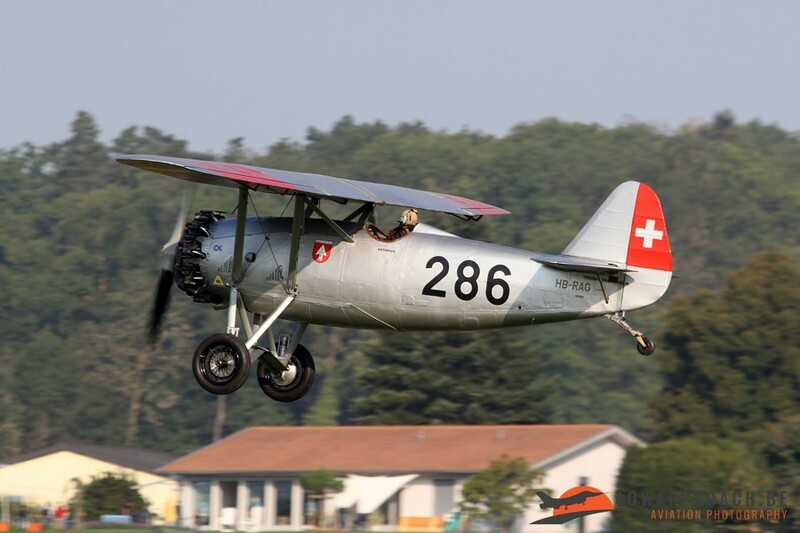 These were followed by displays of the unique Dewoitine D.26 and Morane MS.406C. 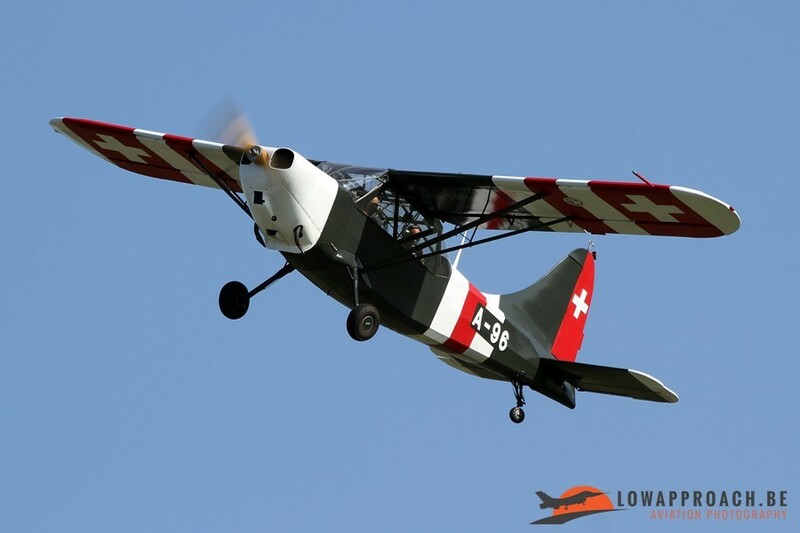 Additional historic aircraft, like a Stinson L5 Sentinel, that we were to catch it on take-off on the departure day on Monday. 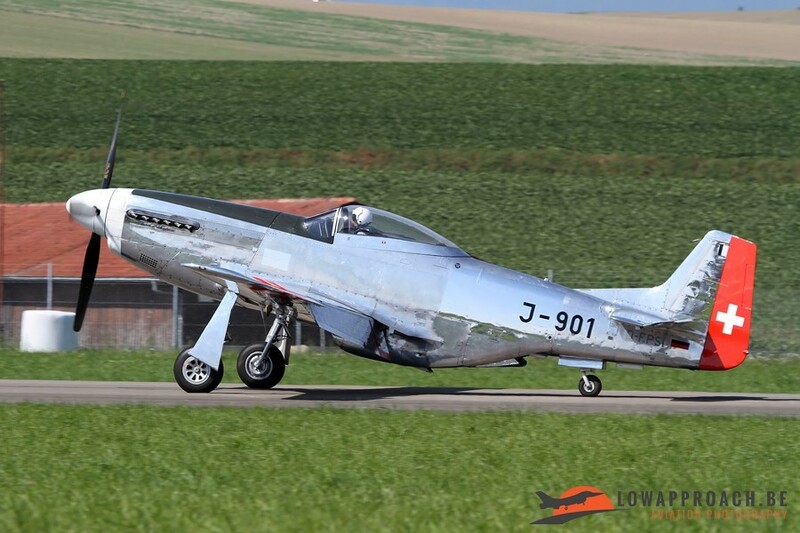 In later years the Swiss Air Force bought aircraft in the US, like the North American P51D Mustang. 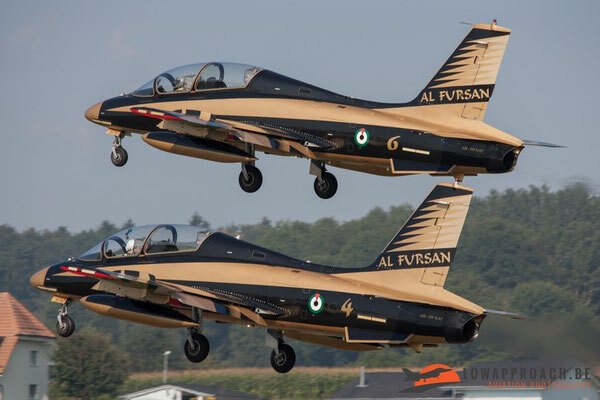 At the same time a local aviation industry was created, which was illustrated by a display of the EKW C-3605 target towing aircraft, here in formation with its more modern equivalent, the Pilatus PC9. 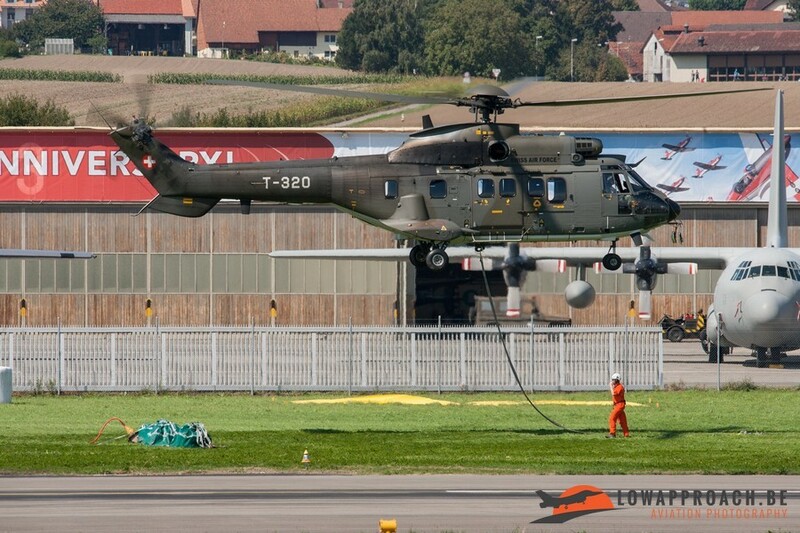 Also a number of historic helicopters were present such as the Sud Aviation Alouette II and Alouette III. 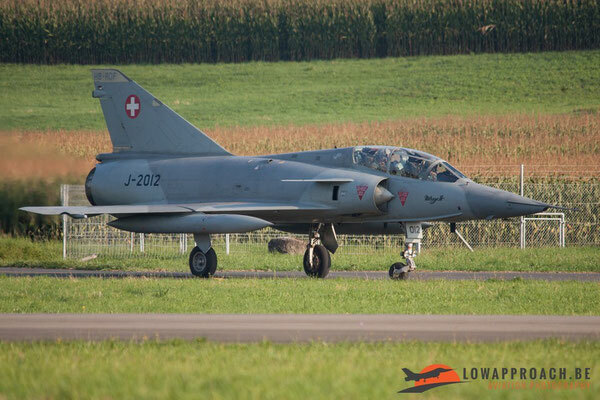 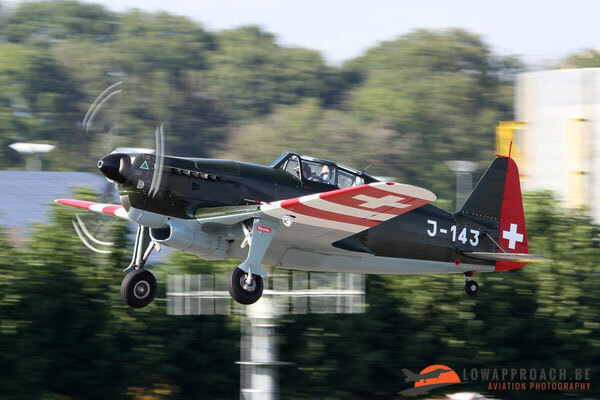 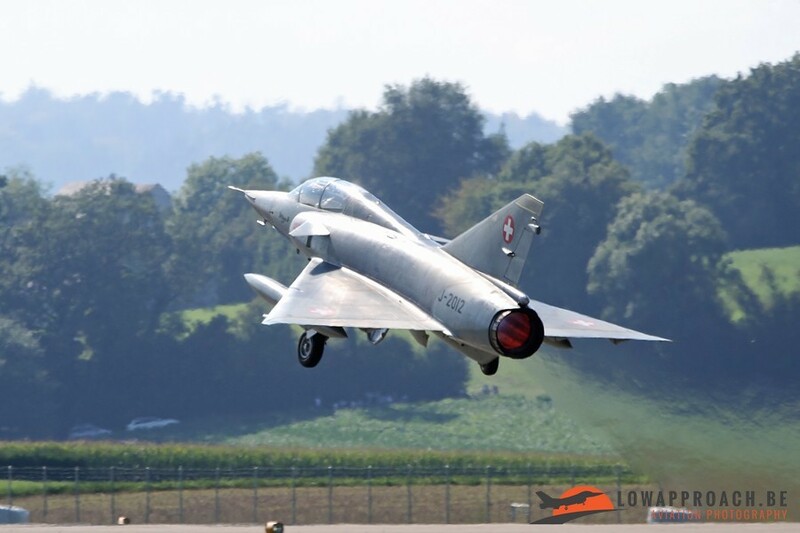 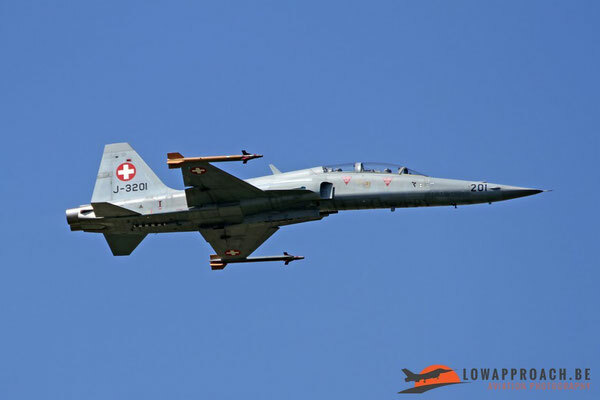 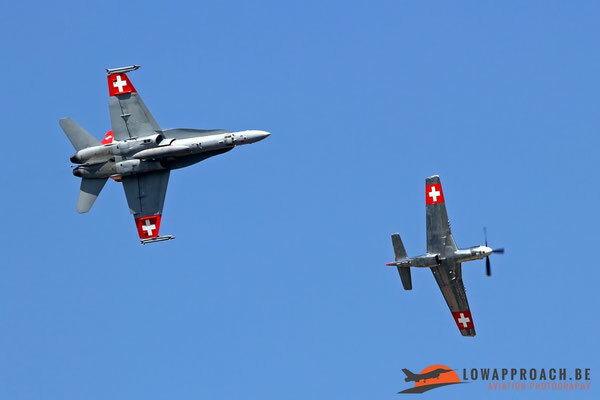 During the weekend several historic formations were flown by various Swiss aircraft. 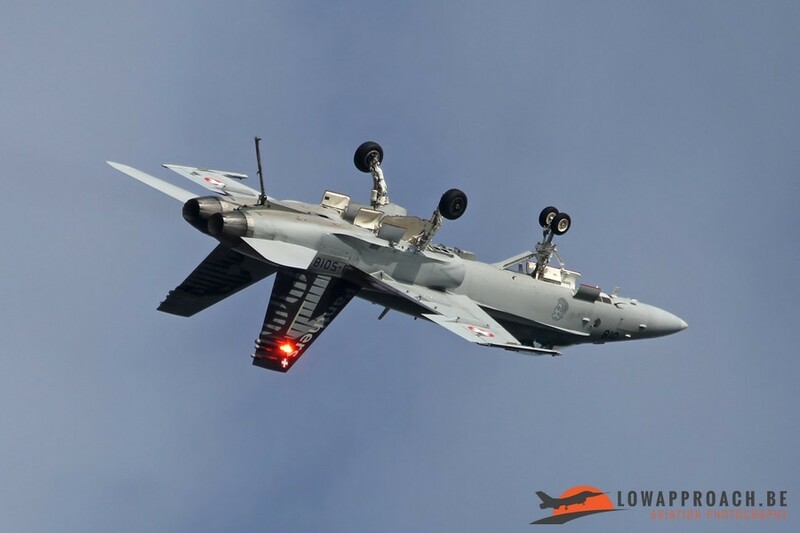 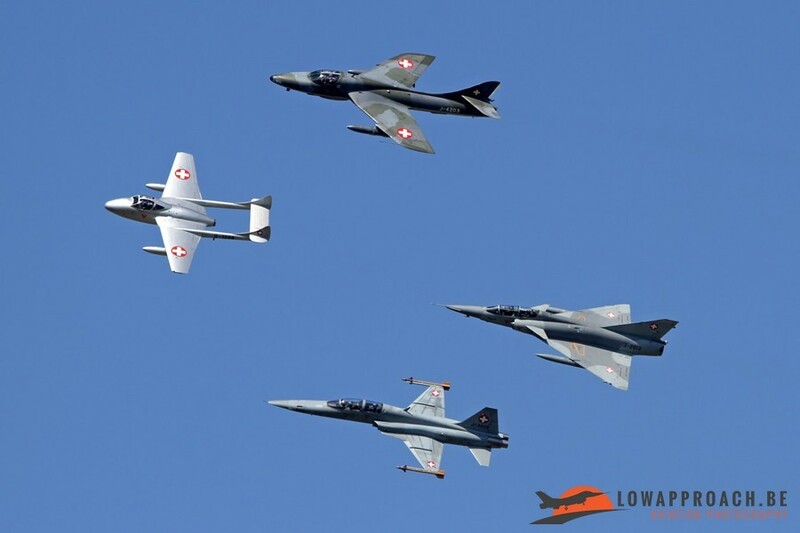 The most spectacular for many was the jet formation, which featured a De Havilland Vampire T.55, Hawker Hunter, Northrop F5F Tiger II and the last airworthy Dassault Mirage IIID in Europe. 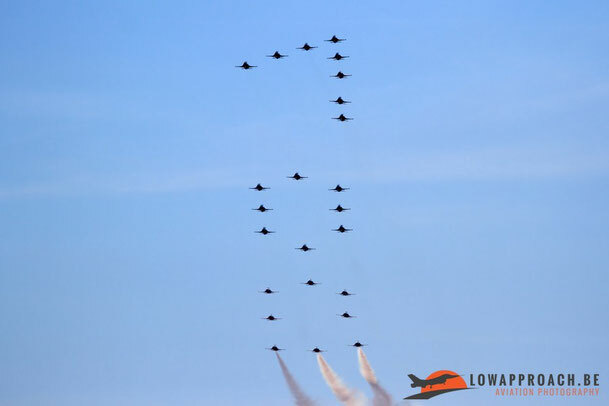 At AIR14 not only the 100th Anniversary of the Air Force was celebrated, there were more birthdays that year which all got the attention they deserved. 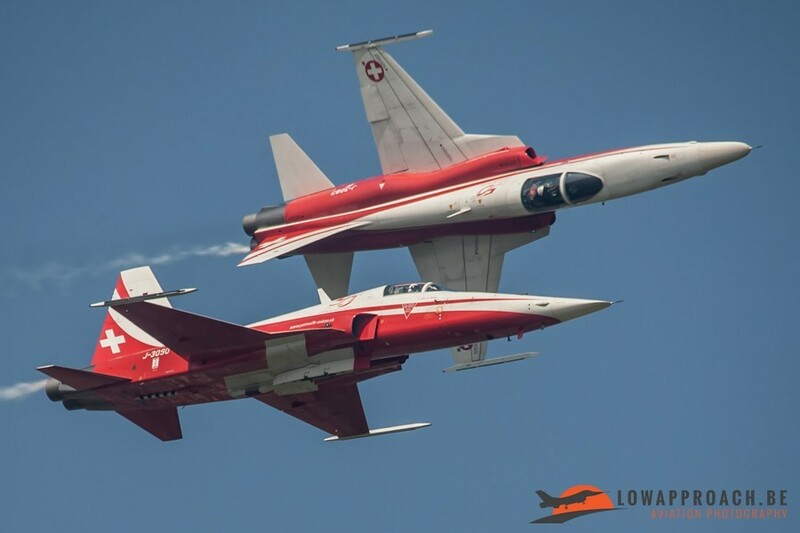 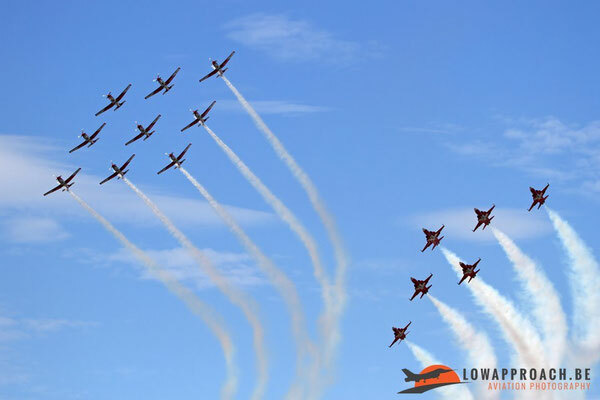 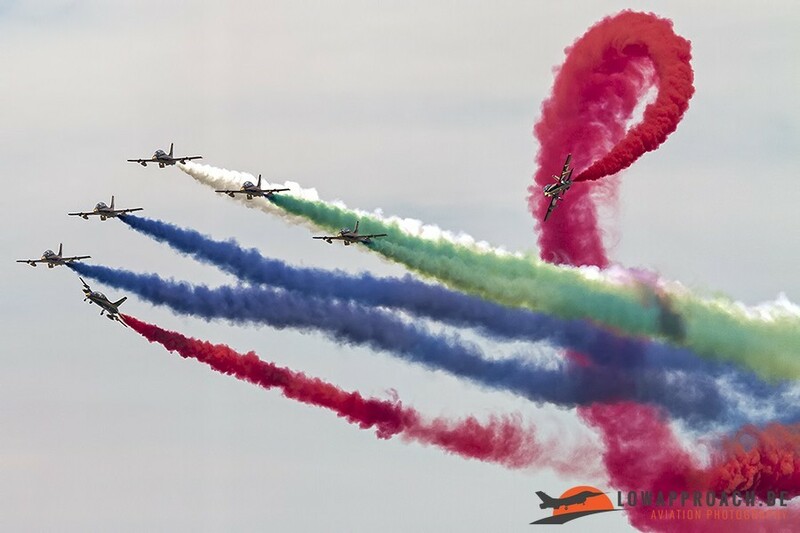 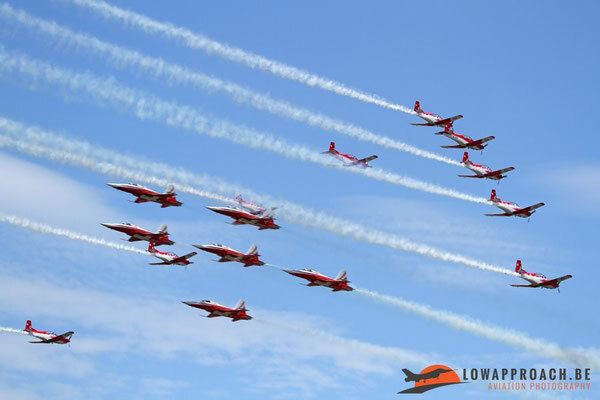 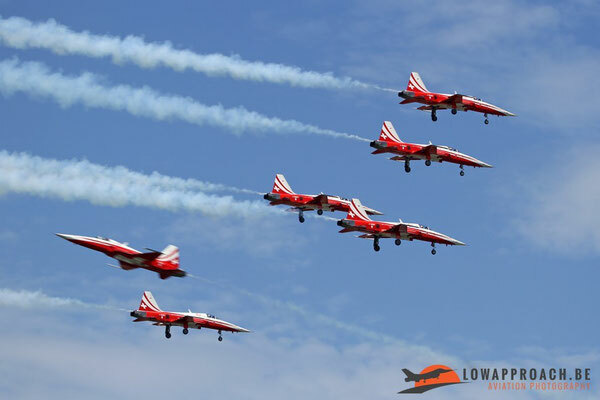 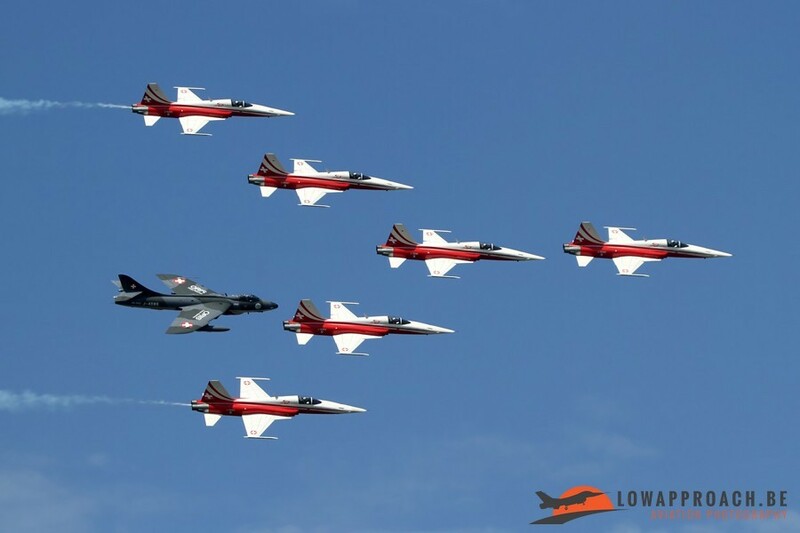 The renowned Patrouille de Suisse, the national aerobatic team, celebrated its 50th 'Golden' Birthday in 2014. 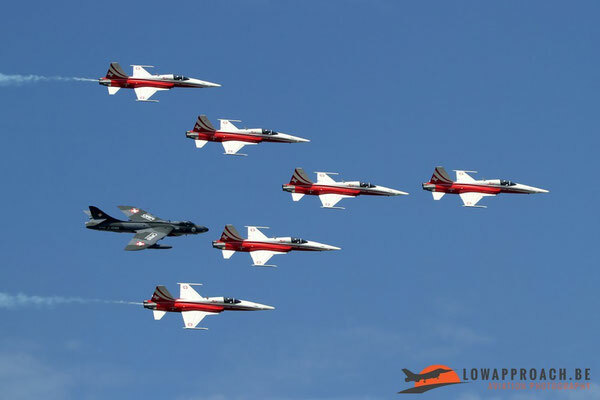 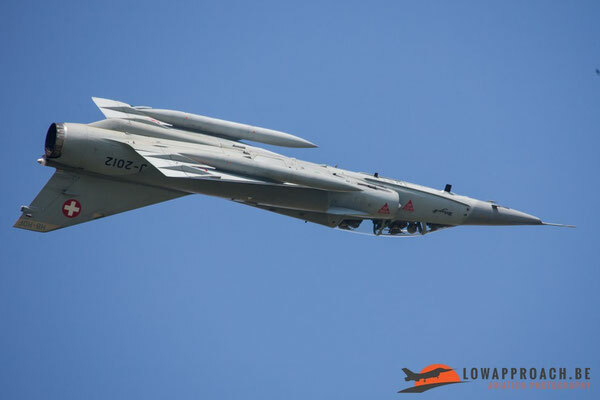 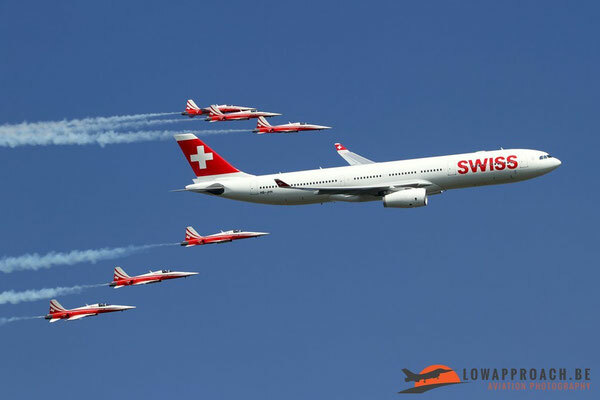 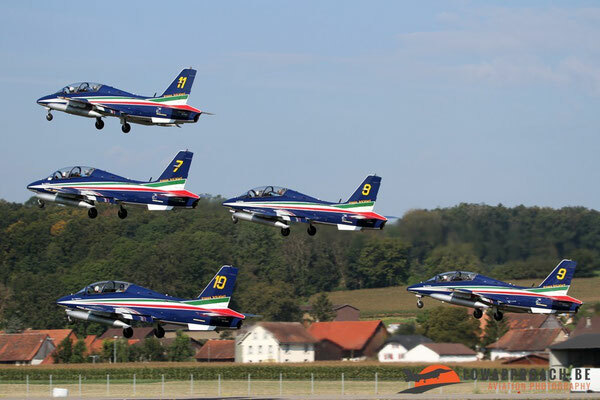 The team made several formation passes with other aircraft, such as the Hawker Hunter, the aircraft with which the team was formed in 1964 and an Airbus A330 from Swiss. 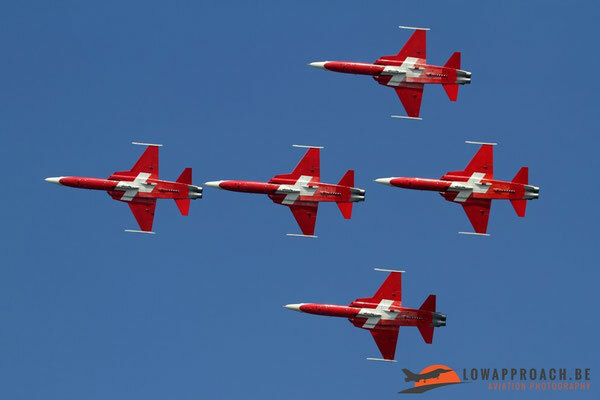 The third birthday at AIR14 was the 25th Birthday of the second Swiss display team, the 'PC-7 Team', which was created in 1989 in the wake of the festivities of 75 Years Swiss Air Force. 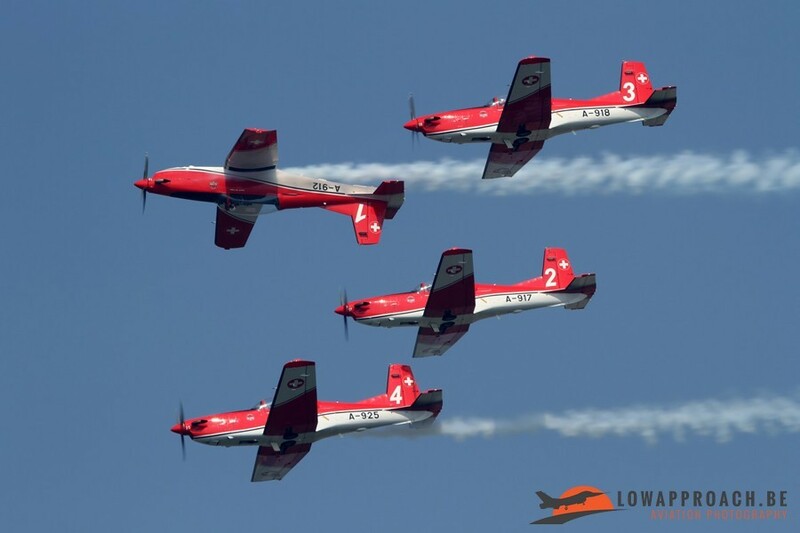 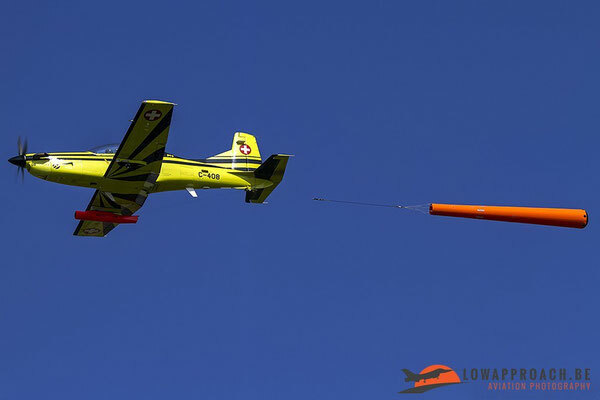 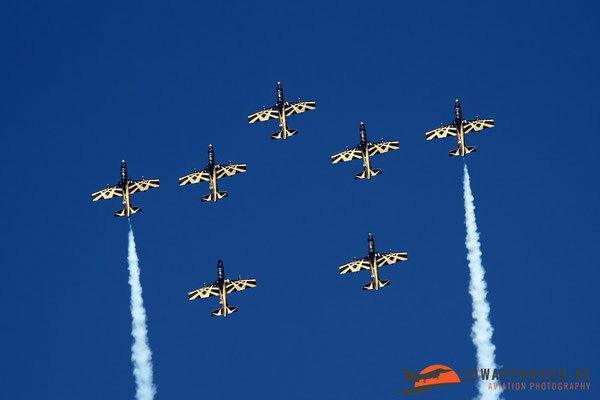 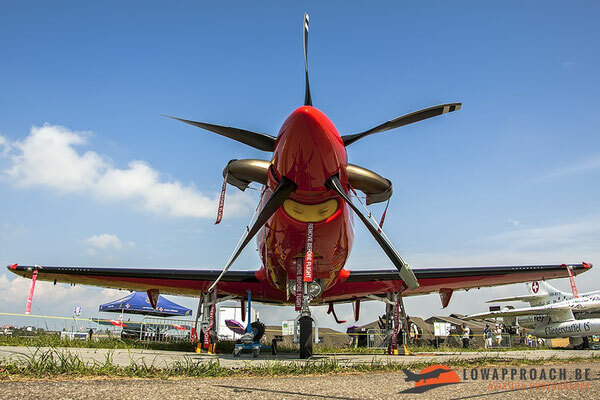 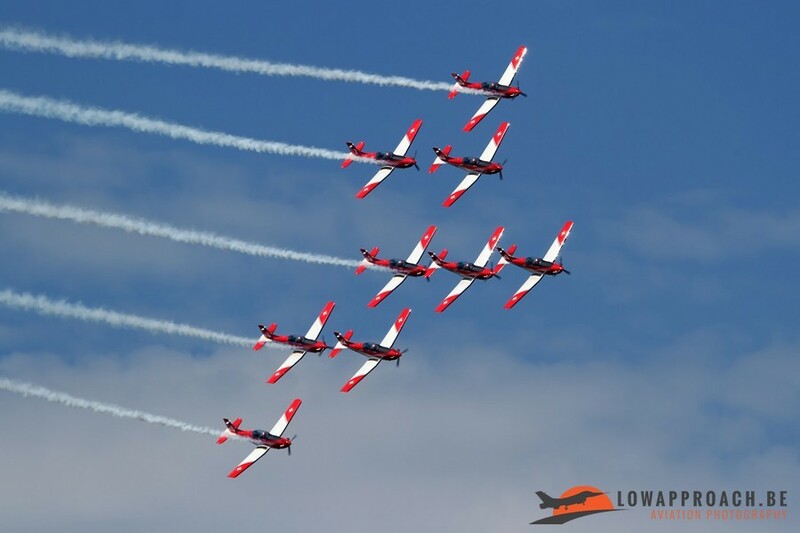 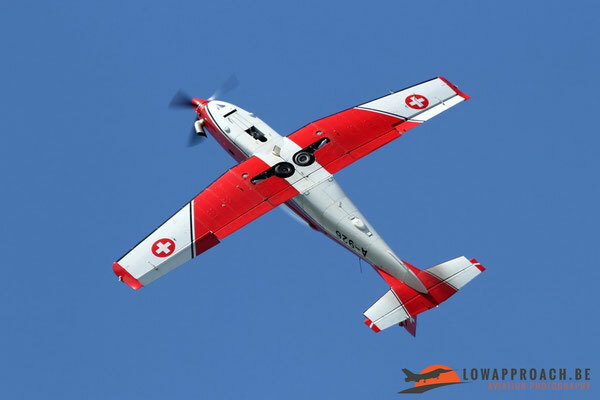 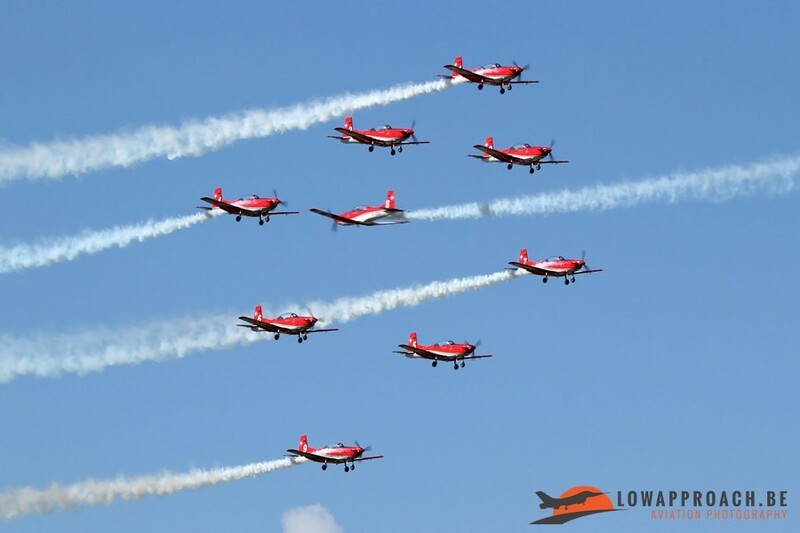 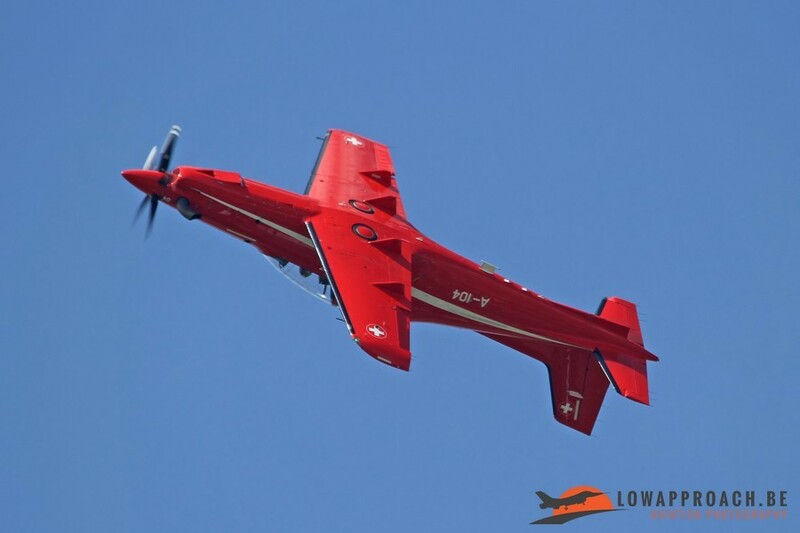 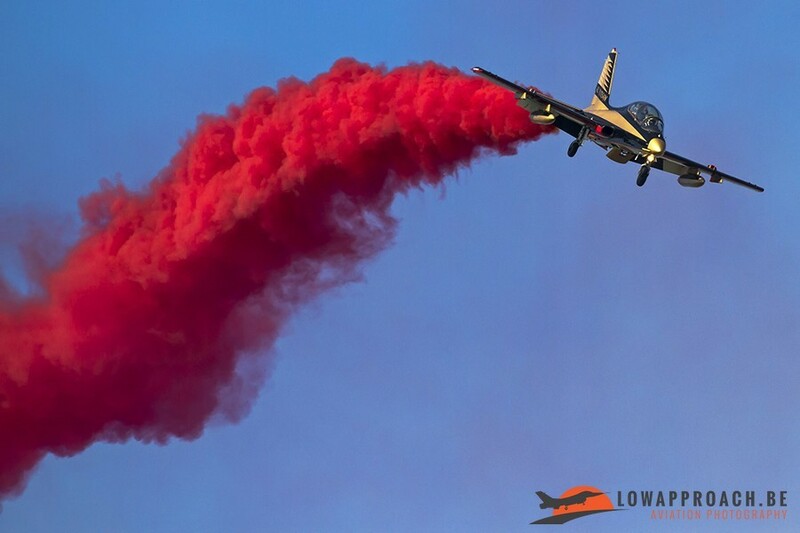 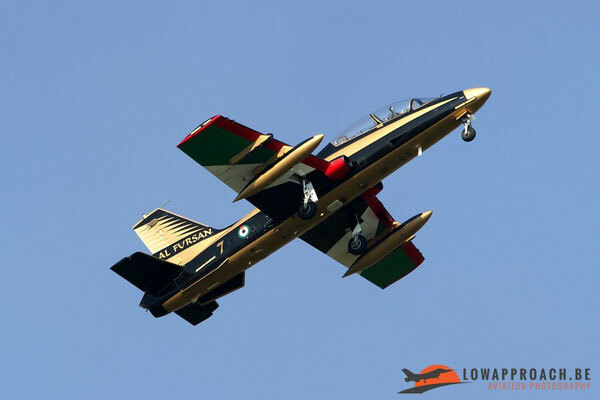 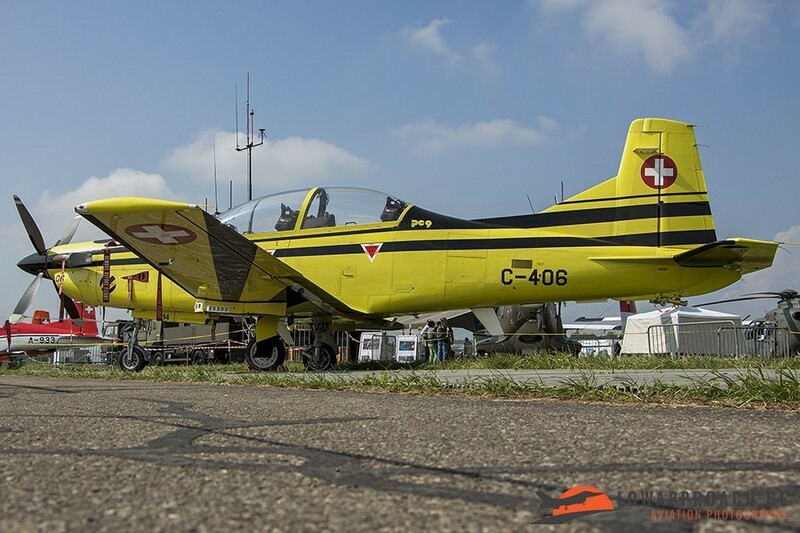 In 2014 the team was equipped with smoke generators, which was their birthday present from Pilatus, the well-known Swiss manufacturer of the PC7-aircraft. At the end of the weekend both Patrouille de Suisse and the PC-7 Team gave a simultaneous display of their skills in a joint performance. 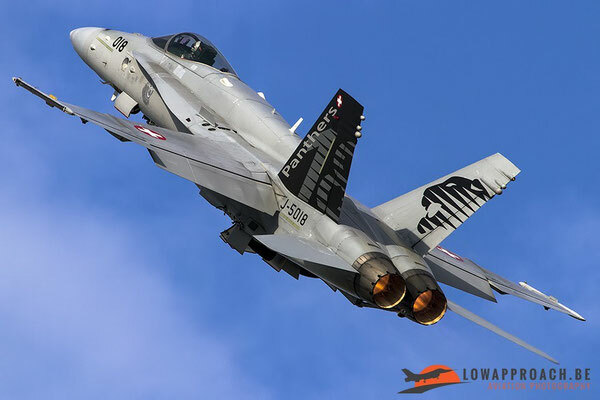 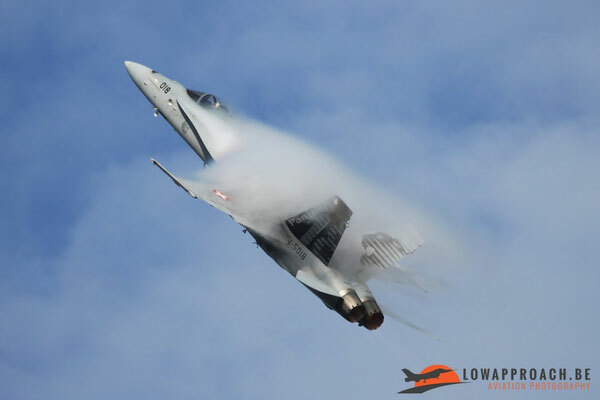 Third Swiss display aircraft that could be admired at multiple occasions was the McDonnell Douglas F18C Hornet. 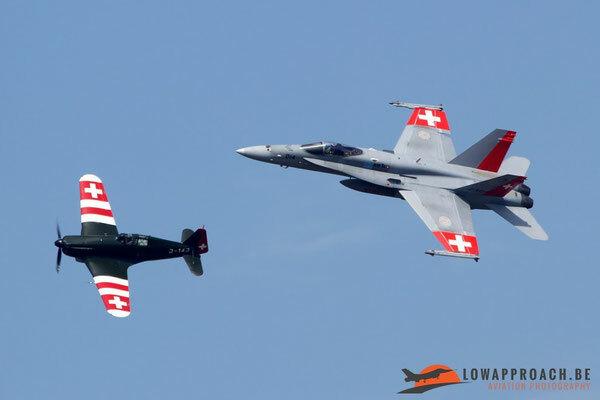 The F18 made several formation flights with some of his predecessors like the Morane MS406C and the North American P51D Mustang. 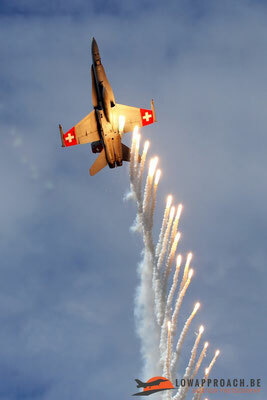 And what is the best way to celebrate a birthday, off course with lots of fireworks ! 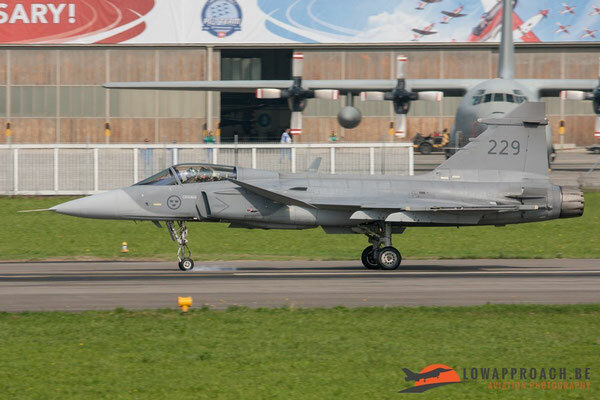 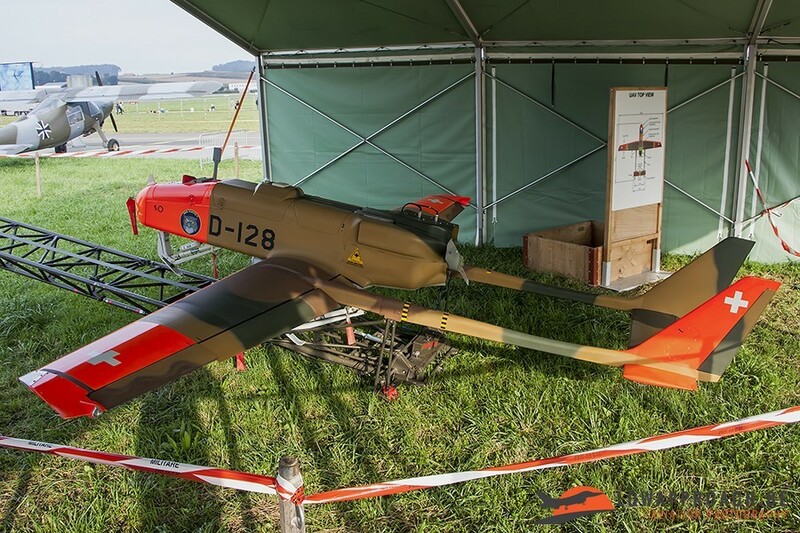 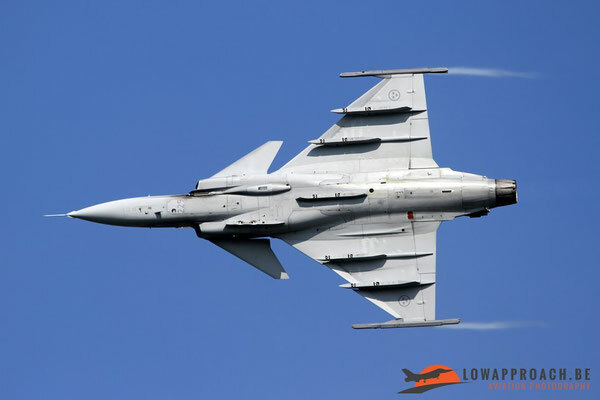 During the weekend virtually each aircraft in service with the Swiss Air Force was either present in the aerial display or in the static display, such as the Pilatus PC9, Northrop F5E Tiger II, Pilatus PC21, the RUAG ADS95 Range drone, Aerospatiale Cougar and Super Puma and lastly the new Eurocopter EC635P2+. 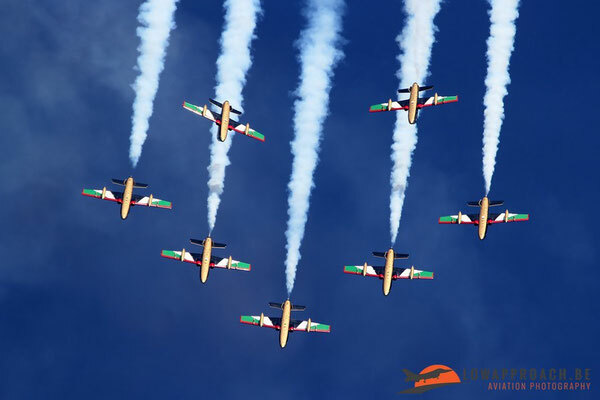 As at every birthday party a lot of friends were invited from various countries who participated in the static or flying displays. 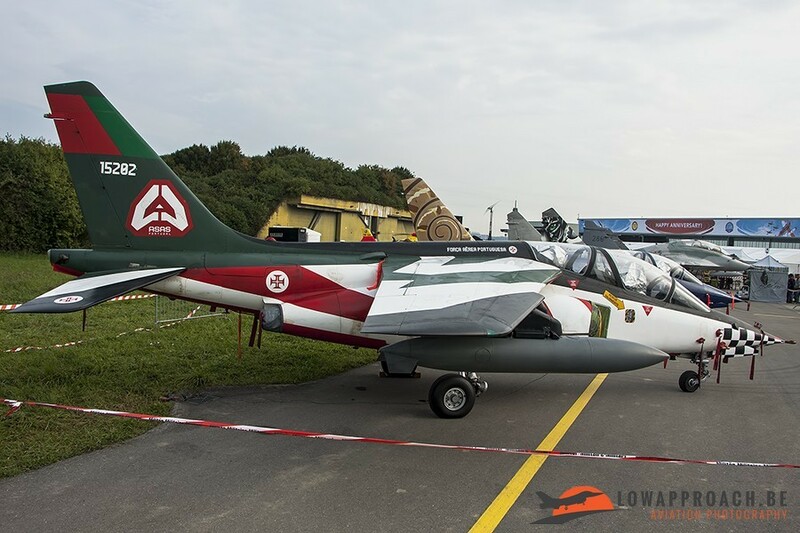 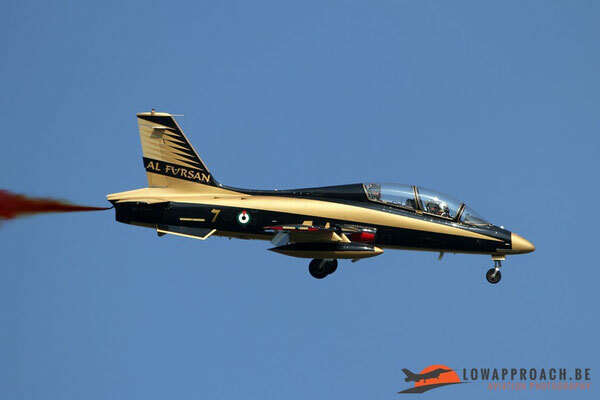 We saw a Portuguese Dassault-Breguet Alpha Jet in the colors of the Asas de Portugal, who unfortunately no longer display. 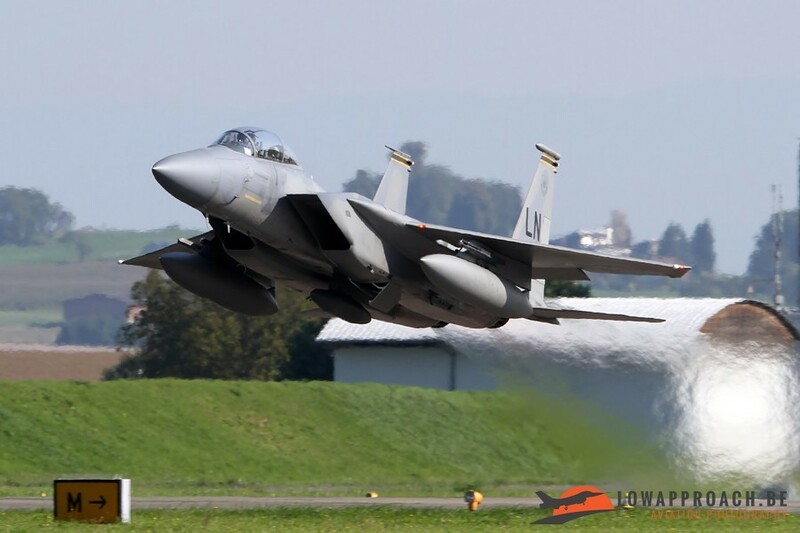 The United States were represented by a duo of McDonnell Douglas F15D Eagles, which we saw departing on Monday. 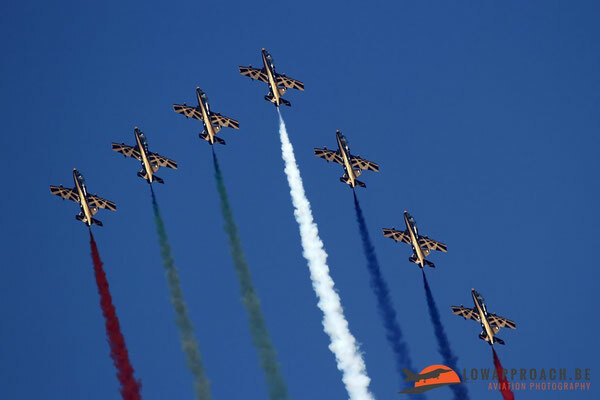 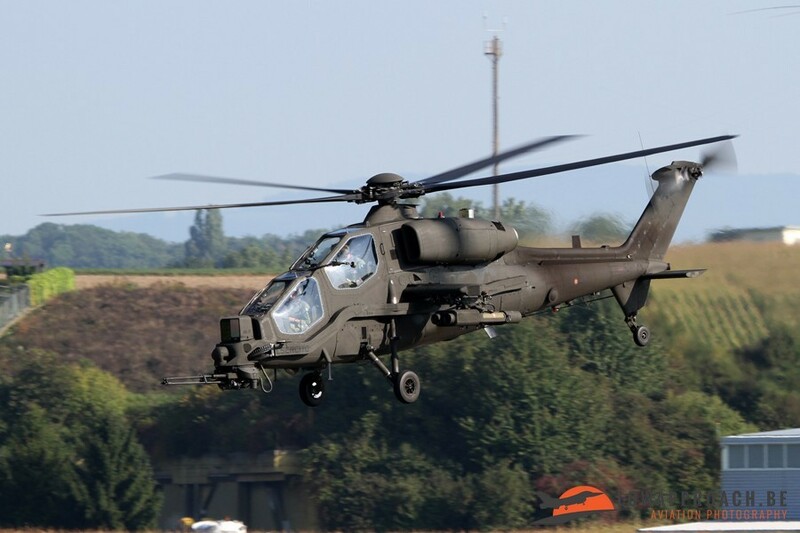 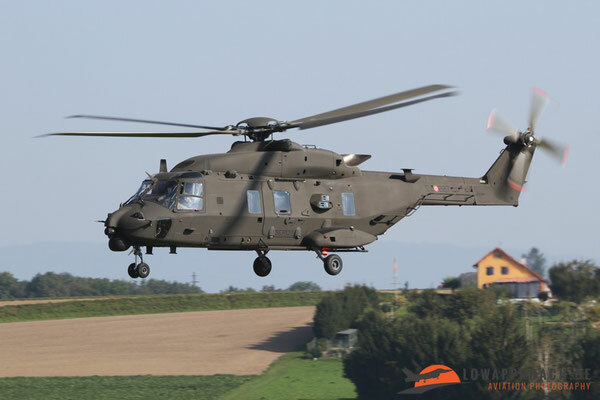 Neighboring country Italy came with the Frecce Tricolore display team and a duo of Esercito helicopters, a Agusta A129C and a NH Helicopters NH90TTH. 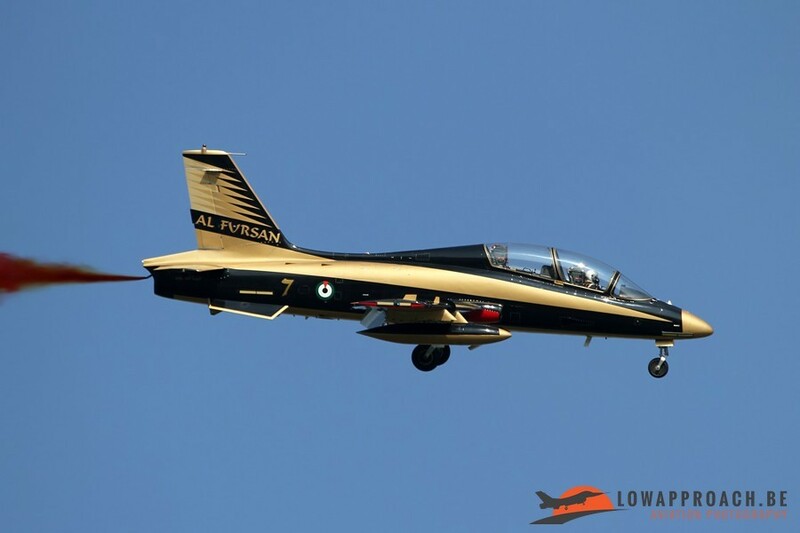 Virtually all European teams were present, but the most exotic team during the second weekend was the Al Fursan Team from the United Arab Emirates. 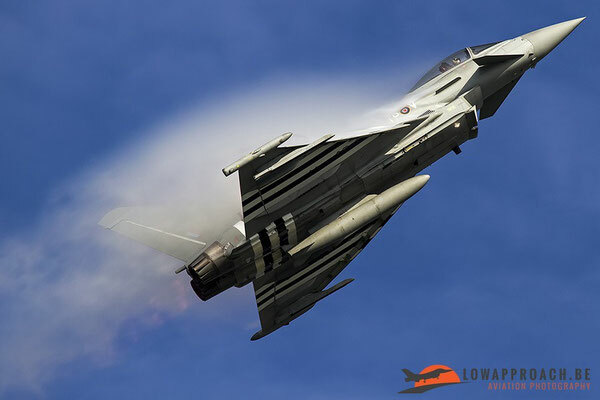 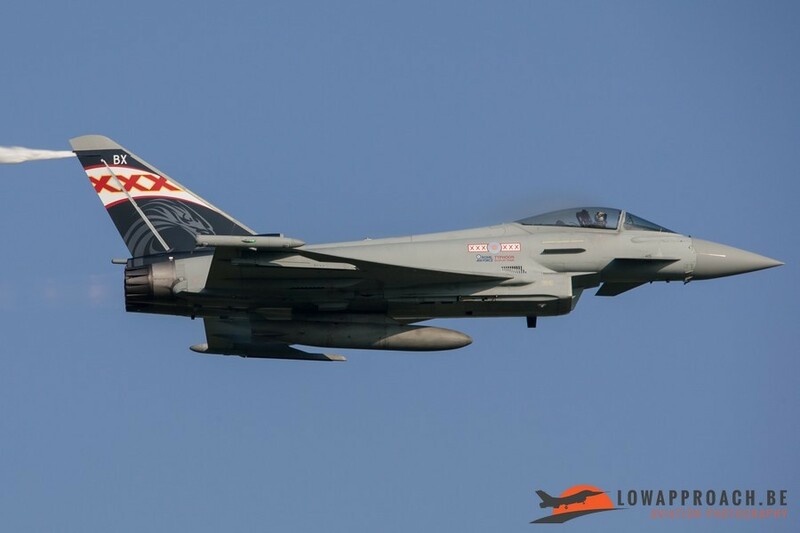 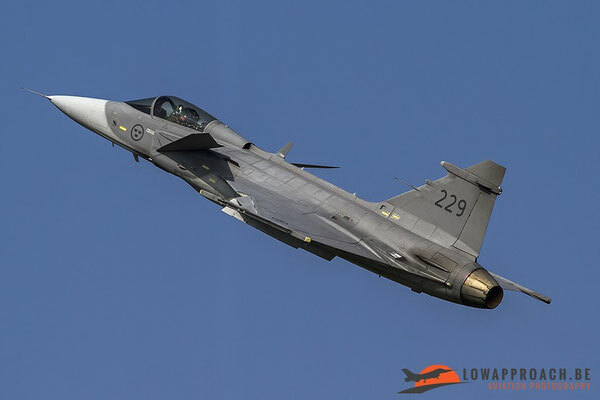 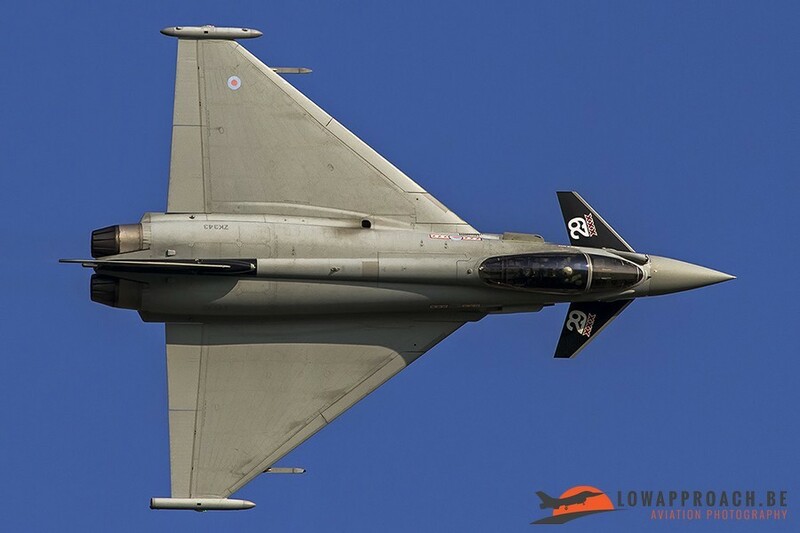 We already saw them a few years ago in Fairford, but I must admit that their display is getting better by the year, so I really hope to see them more often in or around Europe. 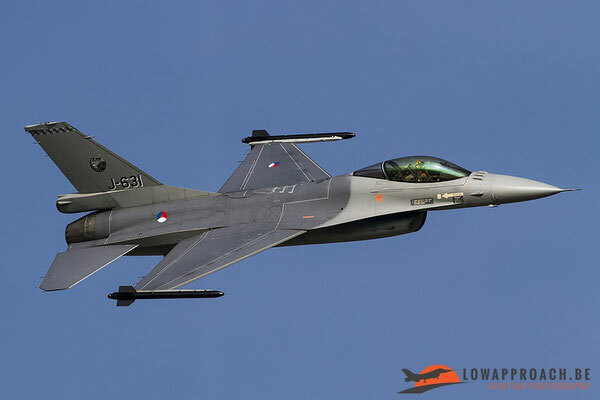 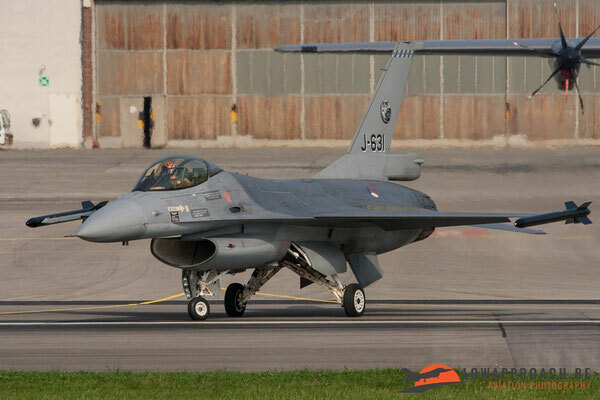 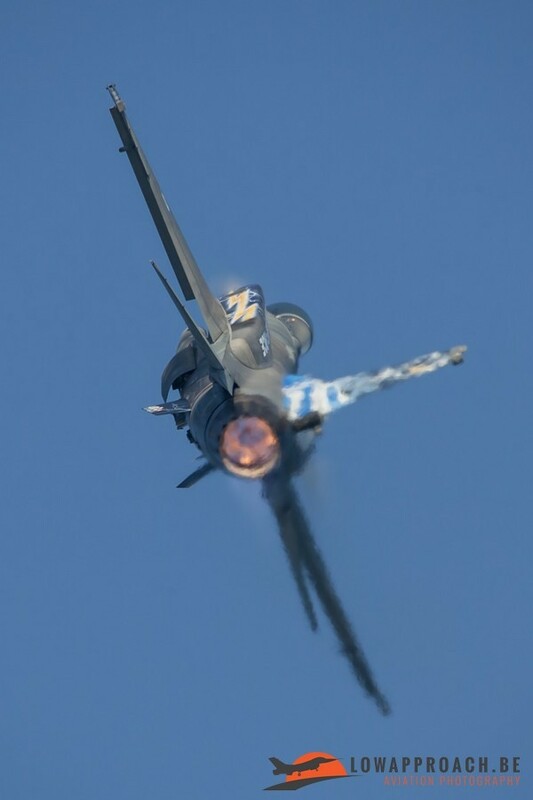 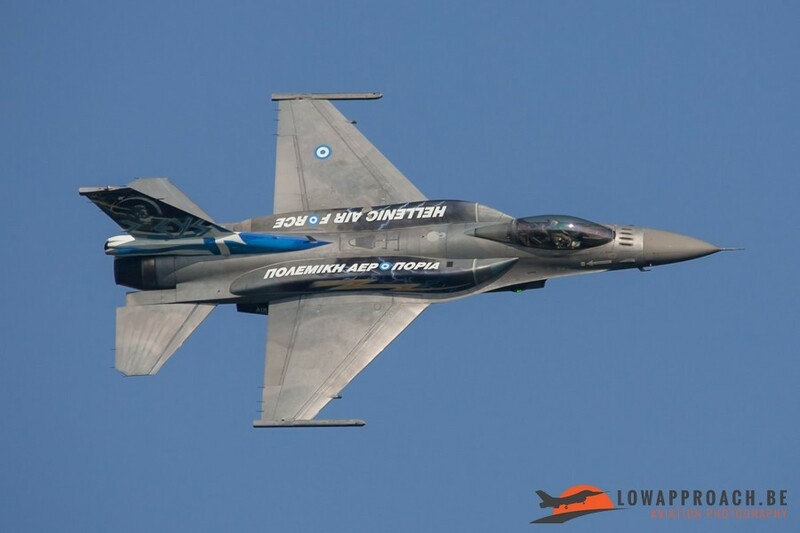 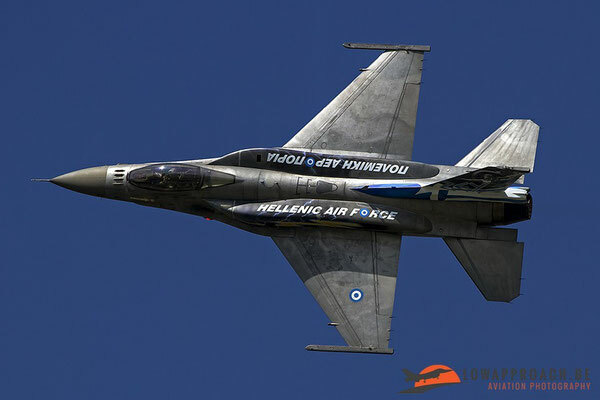 And both The Netherlands and Greece with the F16 Fighting Falcon. 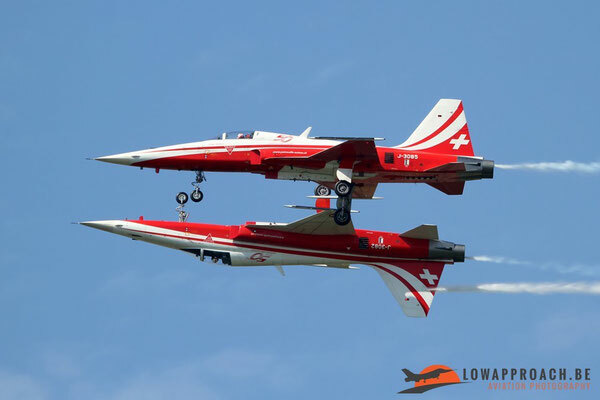 It's very difficult to give you an overview of what could be seen at Payerne that weekend, so to conclude here's a last set of miscellaneous shots of some fantastic warbirds, the largest airliner currently in service and the Breitling Jet team. 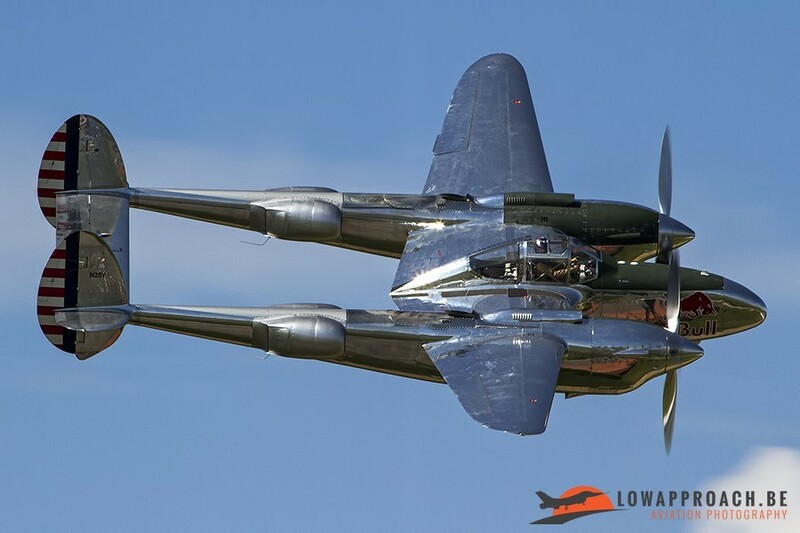 Here are the Supermarine Spitfire, Lockheed P38 Lightning, Boeing B17 Flying Fortress, Hawker Sea Fury, Vought F4 Corsair and Airbus A380. 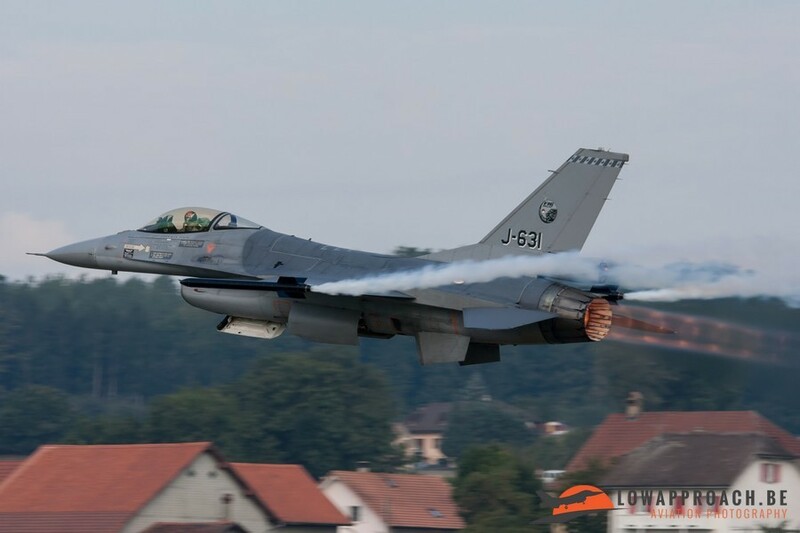 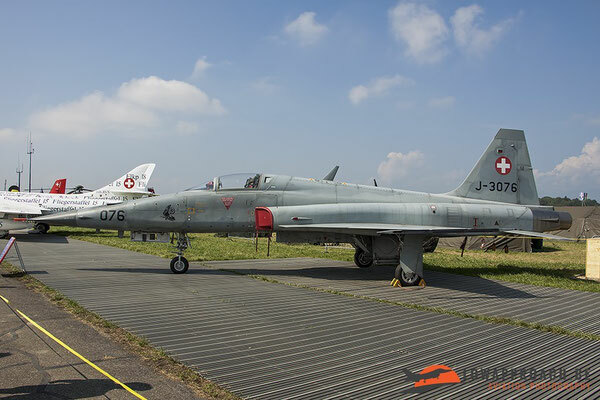 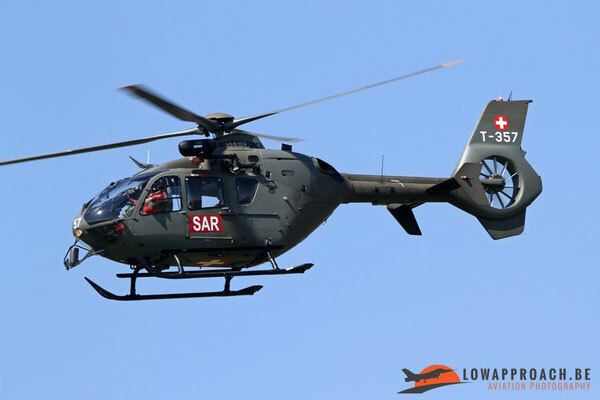 As to be expected the event was organized with Swiss precision, this together with perfect weather conditions during the whole week made AIR14 a worthwhile celebration of 100 Years of Swiss military aviation and I already look forward to the next one.... hopefully in 5 years !